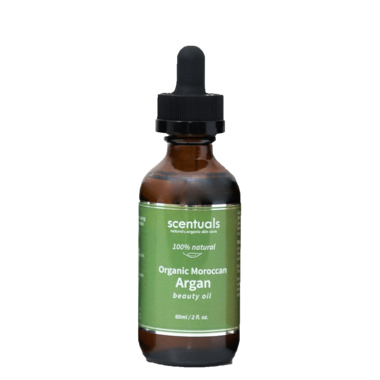 Scentuals Natural Organic Argan oil is rich in antioxidants and omega-6 fatty acids. It’s easily absorbed and regulates the pH balance of skin and hair. Argan oil helps soften skin, repairs damaged hair, prevents split ends and is great to use for nail and cuticle care. Very light and easily absorbed, and much less is needed than the last argan oil I used so it will last longer.